On Wednesday 19th April 2017, 120 of our most gifted and able students in Year 9 spent the evening presenting on some of the most intelligible topics they have researched. Since September, the students have been completing the Level 2 Higher Project Qualification. As one of the core requirements of the qualification, students were to present the research and the essay of their academic topic to a board of assessors. Ranging from women’s rights to whether war could be justified, students’ presentations were thought provoking, captivating and exciting. Despite a few nerves, throughout the evening all students displayed confidence and overcame some of their biggest fears: presenting in front of a large crowd. The evening was thoroughly enjoyed by a wide range of parents and staff. We wish Year 9 all the best with the rest of their Level 2 Higher Project Qualification and that they get the result they deserve! 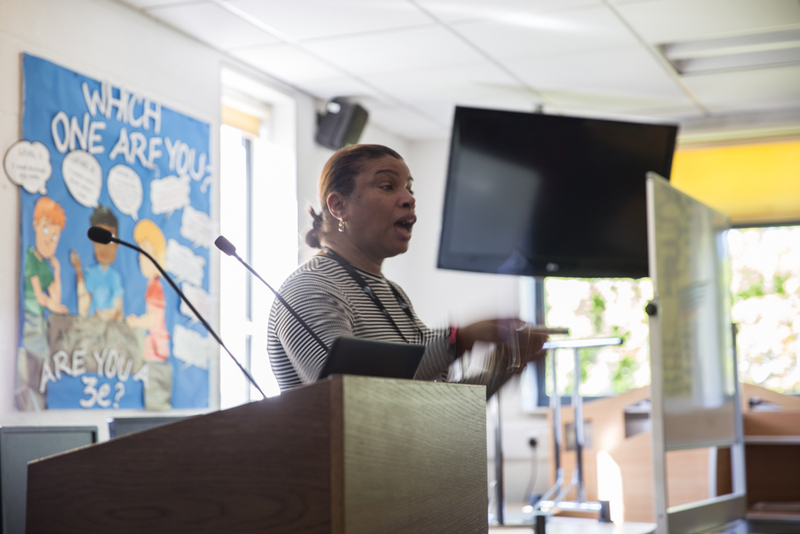 On the 25th April our Sixth Form students had the opportunity to attend a talk by guest speakers Mr Paul Hampson from University of Westminster , Ms Beverley Crooks from Brunel University and Ms Jennifer Nichols-Dunbar from Prevent about life at university. 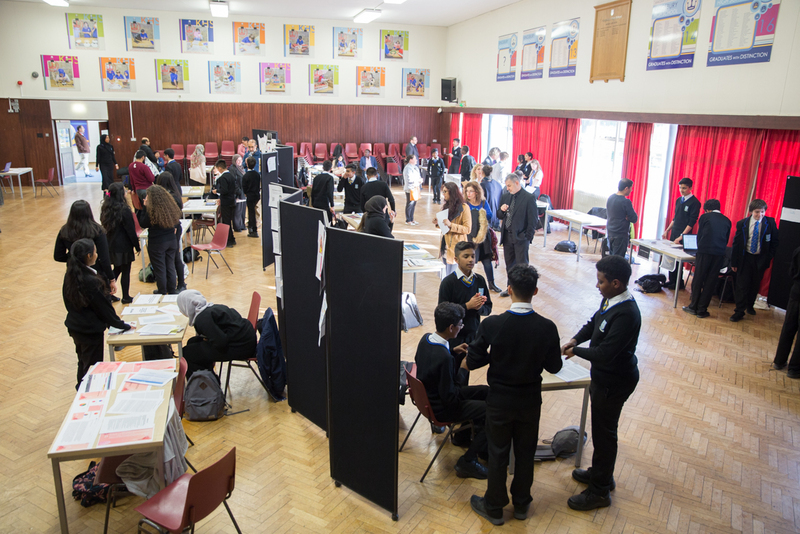 This is the second event organised by the Sixth Form team in order to prepare the students for life after Kingsbury High School, the first one took part during our Excel Day. Both university representatives talked about day to day problems during the first year, from financial issues, to cooking, to homesickness and how to best deal with them. 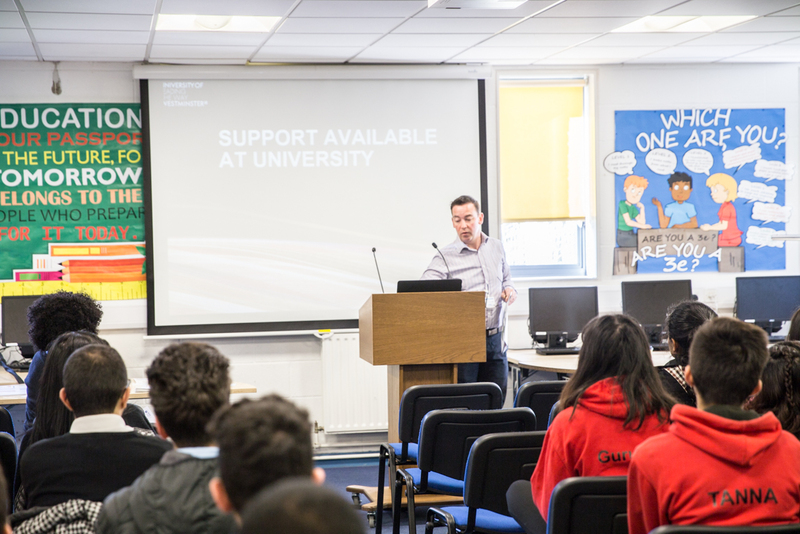 A list of places that are available to students offering help whilst studying, such as student unions, counselling to name but a few, were offered and numerous leaflets left for the students to keep. The students were advised to try and learn simple but essential skills before leaving home, for example how to use a washing machine and cooking. ‘Finding new friends is the biggest concern to new students at university, during school you have your support network of friends and when that is gone, it can be challenging to create new bonds’ Mr Hampson added. Finally Ms Nichols-Dunbar took the students through her presentation on radicalisation. This is a delicate, but important topic, as new students are vulnerable targets for such organisations. However the session was not attended to create anxiety for the upcoming life changing events in the students’ life, it was to create awareness that some might find it challenging and show what support will be available to ensure university life becomes the most memorable time of the students’ lives. 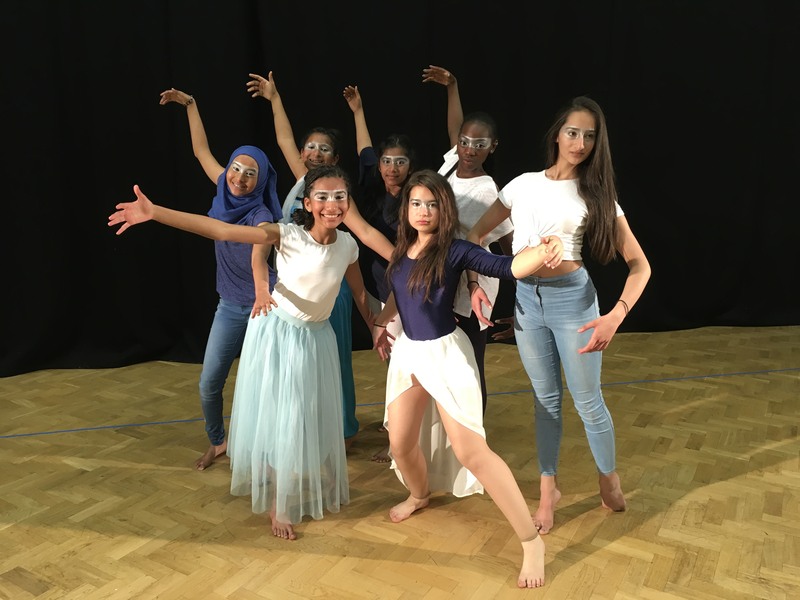 Over the past six months, seven keen dancers from Y7, Y8 & Y9, have been working hard to create an exciting piece of choreography for the upcoming Step Into Dance Spring Sharing. 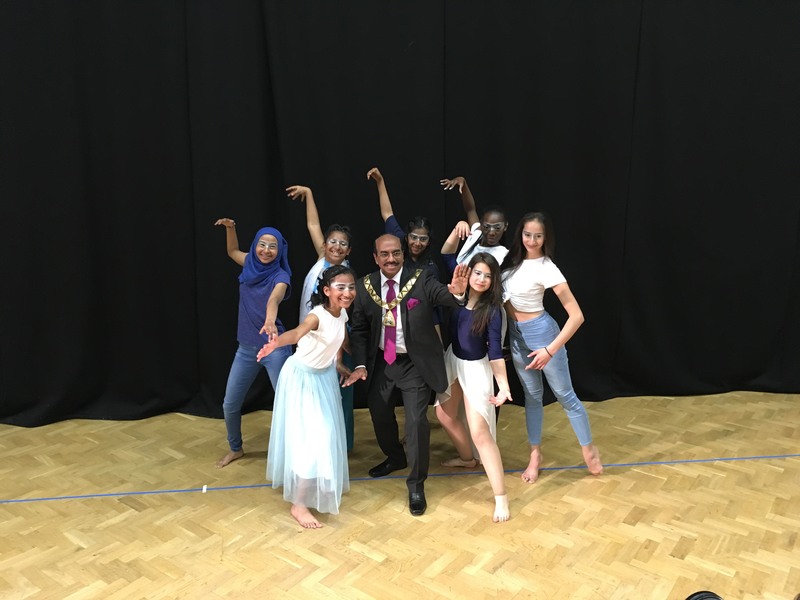 On Tuesday 25th April 2017 at Queens Park Community School, the students performed alongside other Brent Schools to celebrate the 10 year anniversary of Step Into Dance. Once again these students have represented Kingsbury and the Dance Department to a high standard, and are eager to start work on their next performance piece.